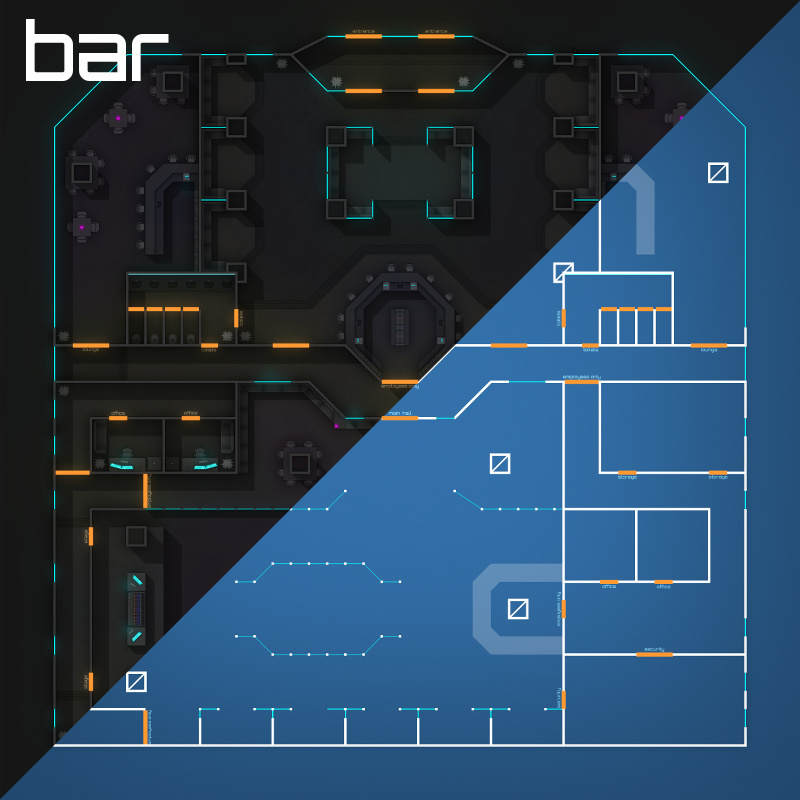 'Shadowplans - Single - Bar' is a modern/cyberpunk stylized battle map, suitable for VTT (virtual table top) or printing. Ideal for Shadowrun and other modern / cyberpunk settings. Use as a drop in location or the setting for an unfolding campaign. Another fantastic map. I've used this one specifically around 4-5 times and it never seems to get old. I'll be sure to include a few streets with smaller locations in the next pack. I've also added a bank to the list.